Auto AK from Female Seeds are feminised autoflower cannabis seeds which are very popular and well known. This cannabis strain is originated by crossing the AK x Lowryder. 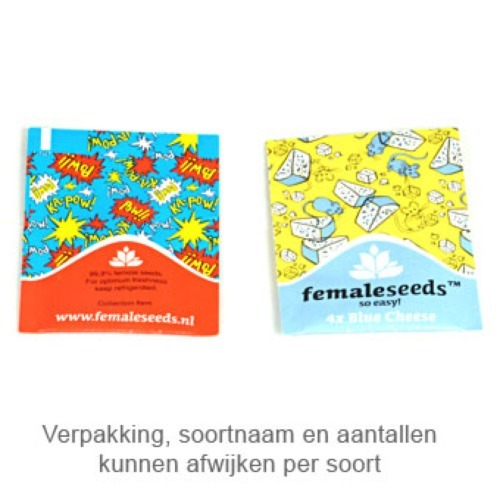 Female Seeds Auto AK cannabis plants generate hard and compact buds during her flowering time. She produces a very strong smell during her flowering time. The effect of this cannabis strain is very powerful and not recommended for the starting smoker. This cannabis strain is suitable for an indoor and an outdoor grow and she is pretty easy to grow. The taste of smoking this weed is powerful, just like the smell of this cannabis strain. Growing weed out of these feminised autoflowering cannabis seeds provide you a very popular strain, which is regularly found in coffeeshops. Tell us and our customers what you think of the Auto AK from Female Seeds.